Are you wondering what to do with the empty space you have in front of your home? Or do you have an idea that you want to realize but need professional help to do that? No matter what the situation or reason is, you can always count on a landscaper from Phipps Landscape to provide you with timely services. We are located in Rollinsford, NH and offer the most competitive rates that you can find in the area. When our experts are hired to create an appealing hardscape for your home, they come fully equipped. Obviously, before they even begin working, they will make sure that they have seen the area first. You will be advised on what needs to be done. Having experienced specialists by your side is of vital importance if you want to achieve impeccable results. If you have an idea what you want, we will help you turn it into reality. So if you need the services of a reliable and professional landscape expert, make sure you contact Phipps Landscape. The sooner you contact us, the faster we will start working on your project. We will keep you informed of everything that we are doing. So don’t hesitate to get in touch with us, we will be glad to help you out. We will make sure that we do everything while taking your needs and requirements into account. 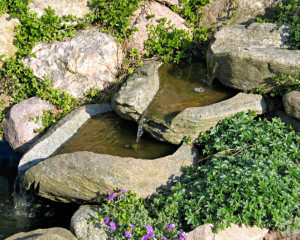 With us, you will have the hardscape that will complement the beauty of your yard. When you hire us, you can rely on the job being done properly, on time, and within budget. Whatever kind of landscaping service it is that you need, we guarantee that you will remain happy with our services. If you live in Rollinsford NH or the surrounding area and need help with your landscape project, make sure you give us a call at (603) 742-3500.